That small song was on my mind this week for a variety of reasons. For many people, the holidays are a time of stress, and Thanksgiving kicks it off. I got to spend the holiday cooking with my grandmother and my mom, who finally let me make the gravy, so I guess I have arrived as an adult. She also shared her secret recipe for stuffing. In yet another stroke of good luck, this year’s Thanksgiving conversations were light on the Obamacare and more focused on whether Thanksgiving shopping is good or bad. Social Security and Medicare weren’t topics either. which made the holiday table even more enjoyable. This was my holiday to be the on-call executive in the event of an unexpected downtime or problem with a critical system. I was keeping my phone close. Halfway through the dishes, I heard a text message come in. I’m still a little adrenaline-tuned with message indicators on my phone, so I only use them when I have to – probably Pavlovian conditioning from all the years carrying the code pager in medical school and residency – so when it dinged I picked it up with more than a little trepidation. The message that came in, however, was just what I needed. A colleague halfway across the country making an ongoing joke that started more than three years ago and wishing me a Happy Thanksgiving. It was a small thing, yet it got me to thinking about the friendships I’ve made and the relationships I’ve built since I’ve been in the CMIO trenches. Before I went into informatics, my circle of colleagues was pretty small – a handful of friends from medical school and residency, my referral base, and other physicians on staff at my hospital. Now I am grateful to have colleagues across the country and around the globe. I’ve had the privilege of bouncing ideas off of people from rural Iowa to the Arabian Peninsula. It’s heartening to know that no matter where we work we’re all dealing with similar challenges. It’s not just the other CMIOs, though, for whom I am grateful. I appreciate the relationships I’ve built with our vendors. They haven’t always been easy, but the bonds that are forged in adversity are pretty tough to break. I’ve enjoyed getting to know all the analysts in our department and watching some of them grow from interns to respected leaders on the team. We’ve had weddings, babies, and funerals, and even in the sad times, it’s heartening to watch people genuinely care for each other. Sometimes the day-to-day knowledge makes things fun: knowing who in the office wants the leftover deli pickles nobody else wants; knowing who can be bribed with chocolate cake; and knowing that surprising someone with a cold Diet Coke at the right time can make all the difference. Even with the busy holiday week, I had a chance to meet up with a health IT friend I usually see only at HIMSS. The conversation was so easy it was as if we see each other all the time. It was great to share war stories, catch up on family news, and gaze at the crystal ball to see what HIT will bring us in the coming year. This fall has been very good to me. I’ve had the pleasure of meeting great people at a recent national meeting I attended and the comfort of being able to lean on friends both old and new when trouble crossed my path. As I head towards my fourth HIMSS as a member of the HIStalk crew, I realize what a privilege it is to be part of this team and what an adventure it has been. I never dreamed I would have fans who send me pictures of their favorite shoe finds or even an actual chocolate shoe, but they’re out there and I appreciate each and every one of you and hope to see you at HIStalkapalooza (anonymously, of course). We never know who is going to cross our paths or where things will head, but that is part of the thrill. While I was looking for a graphic to go with today’s piece, I learned that the song actually has several other verses. One is about a circle being round and having no end, which is touching, but I found another verse that I like even better: “New made friends, like new made wine; Age will mellow and refine.” So I will raise my virtual glass to all our HIStalk readers and to my friends and colleagues old and new. Here’s to the next adventure. I was looking for a ‘like’ button on this one. Very well said. I’ve been in the hospital IT world for 37 years as a systems analyst and consultant for a while, and I too have friends and good memories from across the country. I am blessed to have lived this life. Unfortunately now that money is getting tighter, I am not at the management level to be allowed to travel to conventions anymore. Such the pity; managment needs to realize what value those connections can have. 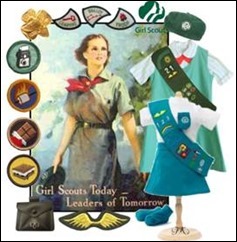 From one girl scout to another, thanks for your comments. I look forward to your column.